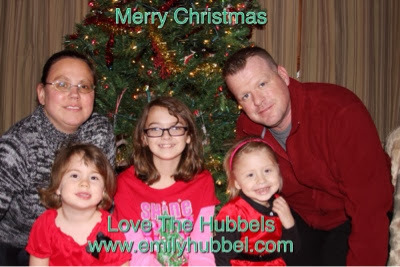 Merry Christmas from The Hubbel Family! 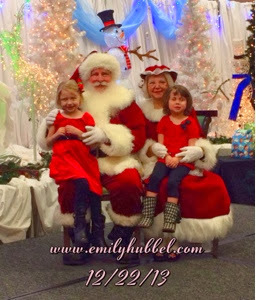 A couple days before Christmas, the ASK Childhood Cancer Foundation Holiday party was going on. Sue was here, so we went and Emily and Brianna had a great time, Jessie was at her dads that day, so she wasn't able to go. But we had a good time and it was nice because Emily was more involved this year compared to last years ASK Holiday party. Emily started Day 1 Avastin the day after Christmas. She did really well with that,but it was a super long day at the clinic and Emilys platelets were at 29 , so she also required a transfusion. We were also told that her HMA/VMA were starting to creep up, so we really need to make decisions on what is next. Dr Sholler has emailed Chrystal Luois in Texas, so we are waiting to hear from her in what our next steps are and Dad and I are looking at trials in New York, St Jude and pretty much anything out there. Our goal for the new year is still to bring Emily to NED. We know that we can't stop treatment and neither of her doctors here or in Michigan recommend stopping treatment. It's really just determining what we think is best next. Her doctor here thinks high dose chemo and her doctor in Michigan recommends DFMO, but she has been wanting us to do that each time. 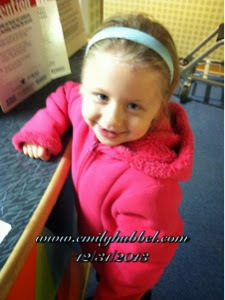 The other issue with starting a new treatment plan, is Emilys platelets... They have not been over 50 in a very long time, I honestly couldn't tell you the last time. Emily had a nice Christmas and stayed up late last night to watch the ball drop. Happy New Year! Hoping and praying this will be a year full of healing and health.